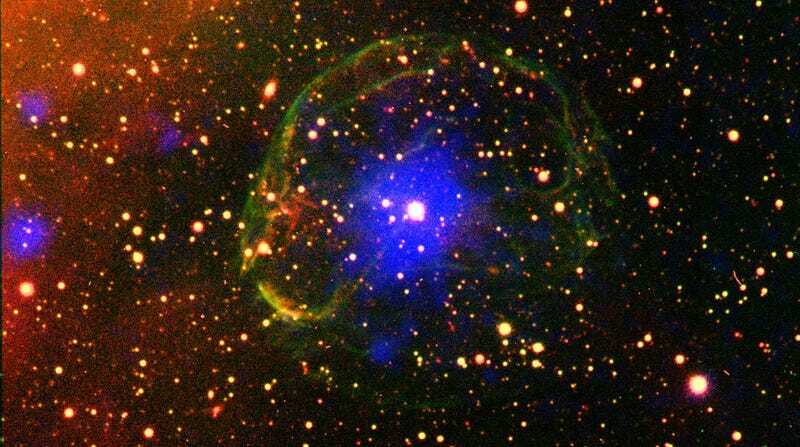 The European Space Agency synchronizes atomic clocks with distant, fast-spinning neutron stars called pulsars. The effort, led by a private company called GMV next to the University of Manchester and the UK's NPL National Physical Laboratory, is being used to drive the clocks used in the global Galileo satellite navigation system – like GPS, but for Europe. The pulsar-based "PulChron" system combines the long-term stability of pulse measurements with the precision of vibrating atoms to produce more accurate clocks. Physicist Jocelyn Bell Burnell discovered Pulsare in 1967 when she noticed a radio signal with a 1.34 second period in the data from the Interplanetary Scintillation Array at the Mullard Radio Astronomy Observatory. 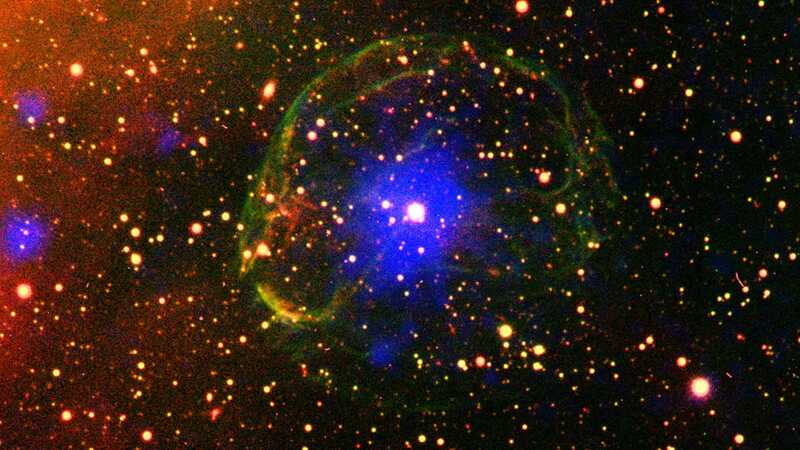 Today we know that pulsars are neutron stars, the small but incredibly dense, collapsed centers of larger stars that emit a beam of radiation as they rotate with bewildering regularity. Although interesting on their own, scientists now use the regular rotations of pulsars as tools and observe arrays of them to hunt, for example, gravitational waves. And their exact frequency makes them great timekeepers. After all, a watch is just something that ticks at well-understood intervals that can be used to measure time. PulChron takes its measurements from five radio telescopes that include the European Pulsar Timing Array and observe 18 pulsars. Meanwhile, atomic clocks have a characteristic frequency that makes their "tick" by tuning a laser perfectly to excite an atom, and then translating the frequency of the laser into the usable interval. Certain atomic clocks, such as As excited by microwave lasers hydrogen, but can drift over long periods of time without another system corrects them. The clocks used by Galileo require resynchronization with ground-based atomic clocks every few hours. The PulChron project hopes to improve the stability of the pulsars in the longer term to control the atomic clocks, both for Galileo and possibly for setting coordinated world time (UTC). This is just a demonstration for now according to an ESA bulletin. This is not the first pulsar watch – but it's nice to see some of the biggest and smallest timekeepers in the universe work together to help us move.